The new summer 2019 timetable for the leading Russian airline, Aeroflot starts tomorrow, 31sth March and will be in operation until 26th October. The new season will see Aeroflot fly to 159 destinations, including 58 destinations in Russia and 101 destinations in 54 other countries around the world. Heraklion (14 flights per week) Split (7 flights per week). Beirut (from 3 to 4 per week); Tehran (from 5 to 7 per week); Ulaanbaatar (from 3 to 7 per week). Washington (from 1 to 3 per week); New York (from 14 to 21 per week). Aktobe (from 4 to 7 per week); Chisinau (from 2 to 7 per week). Krasnodar - Simferopol; Volgograd - Sochi. 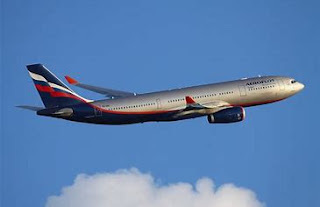 In the coming season Aeroflot will resume flights to another Black Sea resort - Gelendzhik (21 flights per week). This summer, Rossiya Airlines under the commercial management of PJSC Aeroflot will operate flights to 59 different destinations under Aeroflot's commercial management. They include over 40 domestic and international flights from St. Petersburg, including flights to Simferopol, Sochi, Tel Aviv, Rome, Milan, Nice, Paris, London, Berlin, Prague and more. Rossiya Airlines will operate another half a dozen flights from Moscow Sheremetyevo to various destinations in Russia (including cities in the country’s Far East), Paris-Orly, Nice, Denpasar (Bali) and Colombo. Under Aeroflot's commercial management regional carrier Aurora will also offer passengers 20 destinations in the Far East. 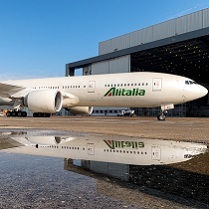 The Group's route network will be supplemented by 162 destinations operated by partner airlines under code-sharing agreements. Thanks to this, a further 19 countries will appear in Aeroflot’s route network: Albania, Algeria, Argentina, Australia, Bosnia and Herzegovina, Cambodia, Ghana, Iceland, Kenya, Laos, Luxembourg, Malta, Macedonia, Mexico, Morocco, Myanmar, New Zealand, Saudi Arabia, Tunisia.